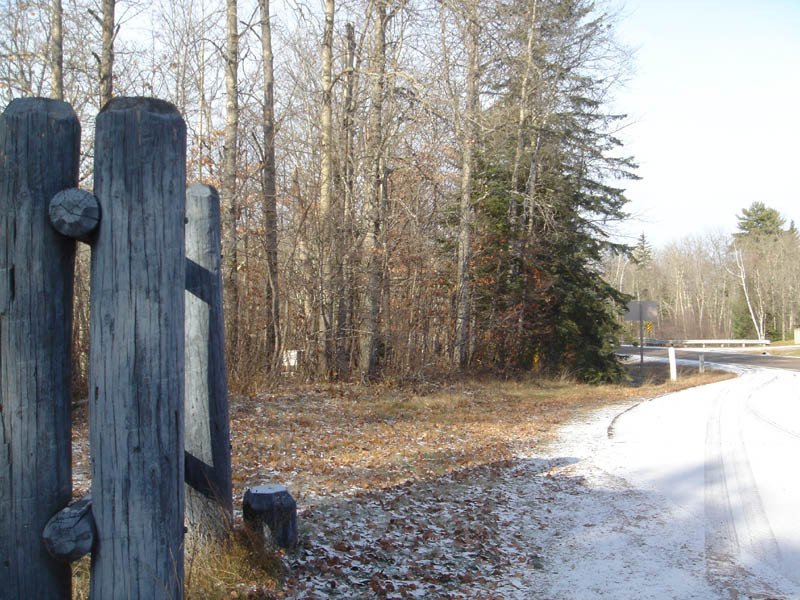 Located Hwy 27 & 70 just South of Billy Boy Rd Couderay WI Coordinates Lat N 45:50':398" Lon W -91:24':396"
These brothers-in-law during the winter of 1659-60 Camped with • the Ottawa Indians two miles upstream from this point on Lac Court Oreifies (meaning "Lake of the Short Ears" in French). Early French explorers called the Ottawa Indians "Court Oreilles." Radisson"s journal reports that among the gifts they brought to the Indians were "2 ivory combs and 2 wooden ones:" also some "red paint and 6 looking glasses of tin:" The combs and paint were "to make themselves beautiful, the looking glasses to admire themselves." 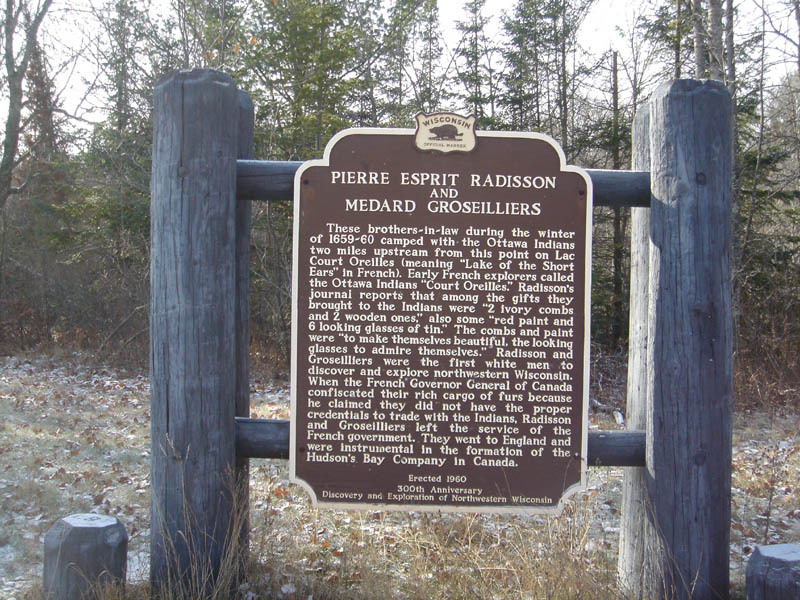 Radisson and Groseilliers were the first white men .to discover and explore northwestern Wisconsin. When the French" Governor General of Canada confiscated their rich cargo of furs because he claimed they did not have the proper credentials to trade with the Indians, Radisson and Groseilliers left the service of the French government. They went to England and were instrumental in the formation of the Hudson's. Bay Company in Canada.